Are you an artist, promoter, or an art entrepreneur who has trouble with writing words? It’s understandable if your medium is visual, and/or performance-based in theatre or music, where writing may not be your chosen way to communicate. However, whether you like it or not, writing is part of an artist’s life and is an important method of getting the word out about who you are, and what you do. Whether it’s writing an artist statement, filling out a grant application, making a query with an art gallery or performing arts/concert space, or writing a press release or article to market yourself via the media, on your website, or through social media, knowing how to relay an effective message and being able to convey, in a simplistic way, what your art is about is an important tool to have. Kristin, who many may know from her years working as the arts editor/entertainment reporter at The Morning Star in Vernon, will “take you through steps to write that press release, artist statement, query, or application in a way that is not convoluted and that will speak to your intended audience”. university newspapers around the country. 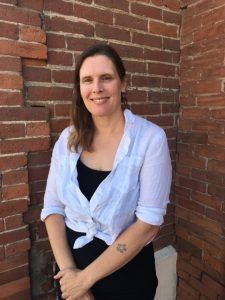 She is currently working as a copywriter for Read Head Copywriting in Vernon and is a member of the Spoke Women’s Collective, a literary group which is about to host it’s second annual literary festival in Vernon this summer.